GRAVITY DESIGN • Architectural projects of public, residencial and industrial buildings, houses, hotels. GRAVITY DESIGN Ltd. has experience in the architectural design on the Bulgarian and the world market. The company has 14 employees at this moment, including 11 architects and works with group of engineers – experts on all parts of the investment design. 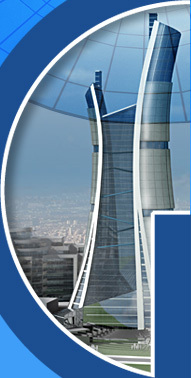 The firm offers services in all the stages of the investing planning – feasibility studies and consultancy, development of preliminary design and draft project documentation, cooperation in assigning an building company, architectural control on the entire process of project realization from start to the finish. The company design projects for public, administration, residential buildings, houses, hotels and villas in unique stile and with good quality. In the last years GRAVITY DESIGN Ltd. creates superb buildings, model of the contemporary Bulgarian architecture and discreet combination of the local style traditions and the ambient – marine and mountain hotel complexes, villas and residential buildings, buildings with public functions. The results of the creative spirit of our team can be discover in Sofia, Varna, Bansko, Pamporovo, Primorsko, Sozopol. GRAVITY DESIGN Ltd. guarantees for the aesthetic combination and the satisfaction of your taste and architectural desires in the process of our work together. We consider quality and professional customer service our highest priority. 2008 © GRAVITY DESIGN. All Rights reserved.